Winter Store Hours Mon – Fri 9:30 – 1:00 Closed Sat-Sun Spring Launch Sale – April 8 – 13th! See details here! 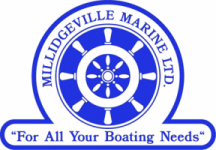 Fall Hours Closed Oct 12 till first week of Dec Out covering boats & winterizing.